I don't know why ignorance of economic fundamentals never ceases to amaze me. 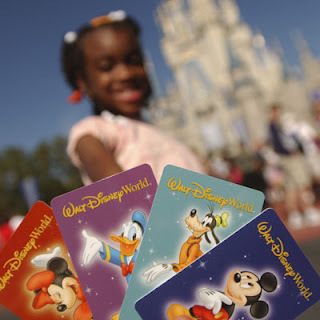 The latest case is the local brouhaha over the announcement of a ticket price increase down at Walt Disney World. The local media has included clips and statements from parkgoers who are "outraged." As of August 1st, a one-day pass to the parks will go up from $75 to $79, an increase of just over 5%. Apparently, amnesia has set-in amongst the outraged. Disney raises prices just about every year. They did it last August, too. And, the increases were actually steeper then. The fact is that WDW execs see what is coming: inflation. And, they have adjusted their pricing now to lessen the blow that will deal to their bottom line. It is this sort of prudent action on the part of corporate executives that keeps them from having to ask for bail-outs . . . what a concept! And, if the prices seem too steep, no one is forcing anybody to enjoy a day in the parks. Be forewarned, though, as The ObamaNation's printing presses continue to churn out more of those greenbacks to "stimulate" our economy, ye socks will see higher prices on more than just theme park tickets . . . The ObamaNation's New Chief Economist? !